Overall: better luck next time. Yeah so this entire single should have probably been released around Xmas time, and this cover only confirms that xD. I like it though. After all that Jesus-y stuff I’m ready review something a little more sublime. Nostalgia is one of my new favorite Ikimono Gakari ballads. The strings suspend a long note to lead into the song, which helped build the excitement of the song. Although this song presents the typical instrumentals of an Ikimono Gakari ballad (strings, piano, slight electric guitar), it’s the melody that really caught my attention. I loved the way Kiyoe leads into the chorus by making her phrasing shorter. Although I didn’t feel nostalgic listening to the song, it was still great work. Next is a much more energetic song, Toki wo Kakeru Shoujo (the girl who leaped through time). Heh no offense but the intro melody reminded me of an upbeat 80s or 90s song xD. Fortunately the verses bring us back to Ikimono Gakari’s more modern style. Nothing about this song was particularly stunning, but it was probably a good break for those of you who are tired with Ikimono Gakari’s constant release of ballads. Also, that harmonic is back. Saving the best for last, this single includes a new version of the previous a-side, YELL. Labeled as the “chorus version,” most of the song is identical to the original version. Things change around that amazing bridge that gives the song that hopeful feeling. Yup, we get a full chorus this time and the effect is felt to the fullest. All of a sudden the song picks up a power it never had before. The chorus did a phenomenal job harmonizing with Kiyoe. Not only do they enhance the bridge, but they also carry through the final chorus. This song is just heavenly. Overall: Amazing single from Ikimono Gakari. Although Nostalgia was good and all, the chorus version of YELL is what stole the show. Hahaha this cover is really cute xD. 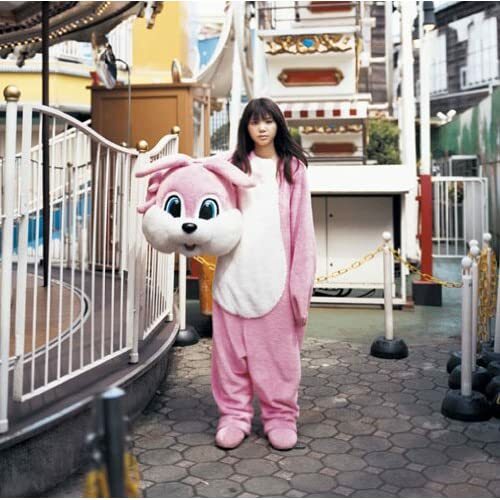 Yeah a little bit on the weird side… but who else could pull of a pink bunny costume but her? Ehh for me Nakumonka was kind of average. It’s another ballad, but not as good as YELL, their previous release. It’s a pretty typical Ikimono Gakari ballad with light guitars and tons of strings. It’s a nice listen, but nothing too special. What I did enjoy, however, was the bridge; the electric guitar is much more pronounced in its solo. The bridge and final chorus definitely hold the most power of the song. Unfortunately, Nakumonka follows the regular ballad format, so it feels like you’ve already heard the song before you even finish it. It’s beautiful yet average… paradox? Next we have Orion. What’s this fascination with “Orion?” Brown Eyed Girls are doing the same thing too. Orion opens with harmonica (sadly, I’m not much a fan of this instrument), but it’s pretty much absent for the song. Orion is another ballad (two ballads on the same single??) and a little more laid-back than Nakumonka. I love the detail of the guitar work during the verses too. This song has a particular folksy feel to it, and we all know that kind of song works with Ikimono Gakari. Overall: Both are nice songs… but neither is strong enough to stand as an A-side. Sorry =/. Nevertheless, I still await the new album this December! “YELL” is Ikimono Gakari’s 15th single, released on September 23, 2009. It is used in the drama “Boku no Imouto” (My Little Sister). Yell began in a completely different direction than what I had expected. I was anticipating some sort of wild song with blaring brass and heavy guitars. Yell however, uses techniques usually employed in ballads. The song opens with a melancholy piano motif. Kiyoe’s vocals are calm and plaintive. Listening to the chorus I can easily picture this song as a theme for a drama. The song takes a bit of a different direction at the bridge. The strings set the stage for a major key, and they are soon followed by an upbeat section with Kiyoe and background vocals. The harmonies were perfect. The bridge is a nice respite from the sad (albeit beautiful) theme of the song. Joyful takes a course I was expecting in Yell. I don’t like Joyful as much though. The song features rapid piano chords, guitar motives, and bubbly voice from Kioye. The song uses a lot of synth elements, especially during the chorus. Although I didn’t like Joyful as much as I did Yell, it’s still a solid song and a nice distinction from the title track. Overall: A very strong single from Ikimono Gakari. It shows the breadth and musicianship of Ikimono Gakari nicely, and I can’t wait for more of their releases.